Confucius’ first tweet: Choose a job you love . . . The professions of writing, editing, and communications are being transformed by e-publishing and e-books, by bloggers, and by social media that turns everyone into a modern-day Confucius with just 140 characters of pithy brilliance to share and “like.” As editors, are we losing ground or breaking new ground?
. . . and you’ll never (have to) work a day in your life. Jennifer Latham is a past president of the Editors’ Association of Canada. She worked for many years as a full-time freelance editor offering editing, writing, and project management services to government and private-sector clients. She presents seminars for editors on the topics of estimating, substantive editing, and managing the publications process. Jennifer lives in Ottawa and is currently the director of editorial and production services with the Office of the Auditor General of Canada. No longer merely diary-like “web logs,” blogs now rank alongside major online publications. Newspapers, magazines, and e-zines rely on blogs to increase their online reader engagement, companies use blogs to demonstrate expertise and build brand loyalty, and writers and editors are turning their blogs into online portfolios. In this session, attendees will learn how to successfully manage and edit a blog—either their own or a client’s—to maximize a brand’s online presence. Tammy Burns is a writer and editor specializing in online publishing, including web writing, website management, traffic analytics, and interactive development. She is currently the online editor for the Travel + Escape television network. Digital magazines have entered the mainstream, and, more and more, publishers are looking for tablet-savvy editors. This session will look at the basics of mobile publishing, from the devices and lingo to changing editorial considerations, and the not-so-obvious differences between mobile content and print. We'll look at digital magazines that are doing it well and what it means for you as an editor. Stacey McLeod is a Toronto-based journalist and the editor-in-chief of the award-winning interactive tablet app Travel + Escape Magazine. She has more than a decade of experience as an editor, crafting multi-platform content and strategies for major media outlets and digital start-ups. Technologies such as print-on-demand and digital publishing have removed barriers for authors and smaller publishers to getting their writing published. These new opportunities for writers can create disruption in the publishing industry. So where do editors fit in this evolving world? The reality is that professional editors have never been more important to the industry and to the success of authors and publishers. Follow Mark Lefebvre on a dissection of the digital publishing scene and learn more about the author’s perspective and where authors recognize the importance and value an editor brings. Mark Lefebvre is the director of Kobo Writing Life for Kobo, bringing 20 years of bookselling and 30 years of writing and editing experience to the role. In today’s ever-changing work environment, people hear project management as a buzzword. But what IS project management? How would obtaining a Project Management Professional (PMP) credential assist those working in the publishing world? This talk will provide information on what project management is, the process to become a certified PMP, and some universal tools and techniques to assist you in organizing the teams you work with. Julie McKenna is a certified Project Management Professional specializing in retail construction, including new builds, renovations, relocations, and multi-channel rollouts. She is currently a project manager in the Corporate Real Estate department of Rogers Communications, focussed on the retail portfolio. This session will introduce you to the basics, explaining what XML is, how it is used, and why it benefits people who write and edit. Learn how clear and concise content can be created (and managed) in an XML workflow. At the end of the session you'll know the difference between an XML editor and an editor who knows XML, and you too will be able to speak about XML with confidence. Bernard Aschwanden has over 20 years of experience with structured content as a writer, manager, developer, and trainer. He presents globally on XML and related topics in a relevant and engaging way. Calling all editors with extensive career experience! There’s no speaker, no agenda. Our Senior Editor's Roundtable will follow the unconference model, for a free-flowing, information-sharing open discussion and everyone is welcome to contribute. At the Saturday session, participants will pitch ideas to the group and then vote on a topic for the Sunday session. To get things started, our roundtable facilitator, Iva Cheung, will provide a list of topics that might be of particular interest to experienced editors. 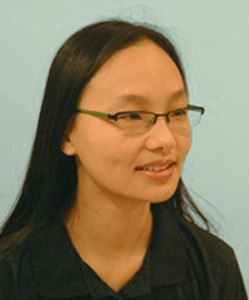 Iva Cheung, a Certified Professional Editor and publishing consultant, was editorial coordinator at D&M Publishers, where she implemented editorial communication, workflow, and quality control systems. Our Professional Editorial Standards delineate four distinct editorial skills, but the lines between them seem to have blurred. Fewer and fewer clients are willing to pay for multiple phases of editing, and many schedules don't allow for it. How are editors responding to this shift? From book publishing, to government work, to corporate and small business, what our clients want and the services we need to provide are changing. What will this move to just "editing" mean for editors, the quality of our work, and the future of publishing and communication? Join our diverse panel for an in-depth discussion of this "new normal." Rosemary Shipton is an experienced editor of books and reports and, for 17 years, was the academic coordinator of the Publishing Program at Ryerson University. 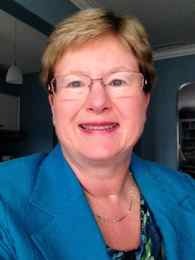 Sue Earl has been a senior technical editor at a major Canadian financial institution for 15 years. She edits for a group of 20 technical writers across four lines of business and is the author of the in-house style guide and the standards guru. Do you draw a blank when you hear “SEO”? Do your eyes glaze over when someone mentions “alt text”? If you’ve wondered what all the hype is about, this session will help you understand what search engine optimization (SEO) is, and you’ll leave with a good idea of the kinds of changes you can make in your content to make it more easily indexed by search engines. Anne Godlewski started editing as a medical editor, and later worked as a technical editor, where applying best practices for SEO became part of the job. She is now a freelance editor and is the Web coordinator for the EAC 2014 conference. Vos compétences, vos connaissances, votre rapidité, le yoga et le café vous amèneront assez loin. Mais comment faire face aux difficultés liées aux processus et au travail d’équipe? Au cours de cette présentation, nous examinerons cinq moyens de collaborer et six éléments qui déterminent le succès. À l’aide de vos exemples de difficultés rencontrées durant le processus de publication, nous verrons ensemble comment l'application de ces principes contribuera à vous procurer un sentiment de satisfaction et de succès en tant que membre d'une équipe. Skills, knowledge, the ability to travel quickly from Chicago to Oxford, yoga, and coffee will take you so far. Where do you turn if the challenges you’ve encountered are related to processes and teamwork? In this presentation, we’ll look at five ways people work together and six factors that determine success. Using examples of your publication process challenges, we’ll explore how you can find satisfaction and success as a valuable contributor to team projects. Christine Hastie possède une vaste expérience du travail d’équipe dans le cadre de la publication de textes techniques, cliniques, gouvernementaux et d’affaires. Elle travaille actuellement pour Anciens Combattants Canada. Christine Hastie has worked with teams spanning generations on business, government, technical, and clinical publications. She works at Veterans Affairs Canada.